Hiking with your dog can be fun, but also challenging at the same time. The following Tractive GPS pet tracker review tells you how you can leave your worries behind during a mountain hike with your dog! Ever tried hiking with your dog? Being up on a mountain and out in the woods gives your dog the chance to do a lot of running, hunting and exploring. But what if all this freedom becomes a threat? Can your dog get lost in the mountains? How can you enjoy a worry-free hike with your best four-legged friends? Francesca and Happy have found the answer in Tractive GPS. 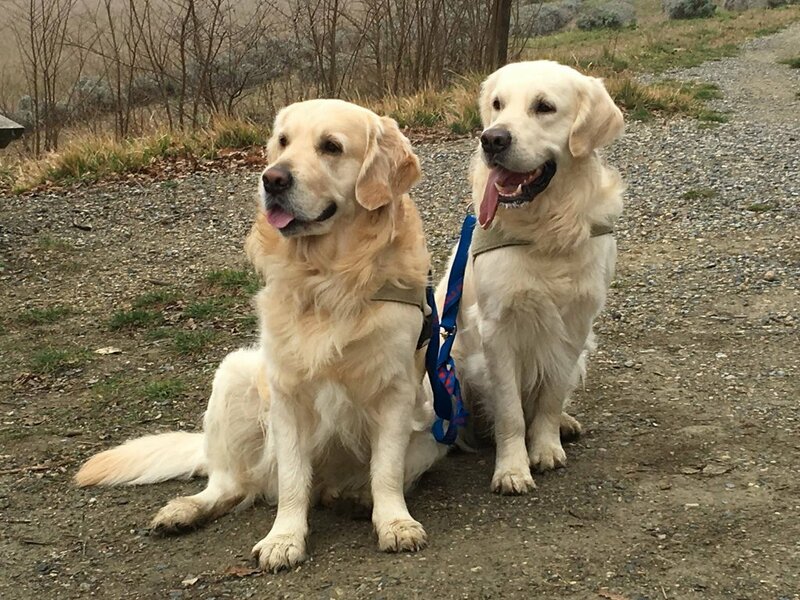 Through a Tractive GPS pet tracker review, they share their story with the world and let dog parents know how Tractive GPS tracker can be a lifesaver. First things first…through our Tractive reviews, we got one of the cutest story ever. Francesca Beltrame is a young Italian woman who lives in the North of Italy amidst the Alps. As every mountain lover, she fancies going hiking, and she enjoys it when her dogs come along. However, she found herself having to look for solutions to keep one of her dog safe outdoors. Before Happy’s arrival, Mac was the only dog in our family. A typical golden retriever, Mac loves playing and roaming around in nature. He is obedient to the family and polite to strangers. Mac really is a blessing of a domesticated dog! When we are outside, he never misbehaves. “My Golden Retriever never escaped. But when we adopted out second dog, all I knew about Golden Retrievers up until then suddenly changed”, says Francesca. Just shy of one year old, Mac made it clear that he suffered from being the only pet in the house. And then arrived Happy. Happy is a hurricane! Funny and loving, he has proved himself as a disobedient wanderer from the very beginning. And then the nightmare started. More than once, it happened while we were outdoors that Happy would go lost for half a day. When a dog disappears in the woods, or up on a mountain, you just have to hope he will show up again soon. Of, course it’s natural for a dog to explore the territory, but we were not used to calling back our dog home and having to wait many hours until he finally showed up again. I needed to be safer. That’s when I started to gather some information about all possible ways to keep Happy on track. After some time spent researching for the best GPS device for pets, I chose the one developed by Tractive. No dogs should be kept on a leash too often. That’s why, to achieve both his happiness and our peace of mind, we are happy to use Tractive GPS whenever we get out of the flat with Happy. You can never know where he is going to find places to satisfy his immense curiosity! When I am walking my dogs next to where I live, I like to let them go off without a leash. When this happens, Happy goes immediately up to the woods which are parallel to the main street. I keep walking there while he explores the surroundings. Tractive GPS helps me to check that Happy does not take dangerous paths or get lost for a long time. I simply look at my phone and check his movements in the interactive map. Happy is a good dog and at the end of the day, he always comes back. Well, except the time I brought him for our first time to the Siusi Alps. These mountains are known for the intricate paths and the beautiful flora. I was there with Mac, Happy and my family when Happy got lost. Whether this happened because he went after a deer, or not, this is still not clear to me. What was clear is that he was gone. Then I remembered that Happy had the GPS Tracker clipped on. I immediately switched on the LIVE-mode and started breathing more easily the closer I got to his position. I could follow his path, live, directly on my phone and the position was so accurate that…finally there Happy was, sipping water from the source on a mountain’s edge. It’s a precaution to the possibility he or she can get lost forever. Keeping the dog on a leash and on close watch is always good practice, but not always possible. Dogs need some freedom as well. A GPS Tracker is the best help you can get in case of an emergency. It’s not safe to rely on the leash or on your reflexes only. Walks and adventures with your favourite four-legged friend will be safer and you’ll have piece of mind. Because your dog is precious to you, you should investigate your preferred way to avoid such sad episodes. No dogs deserve to get lost and left alone! For me and for my family, going out with Happy, who’s Tractive GPS is well clipped to his collar, is the warranty of a…happy ending. 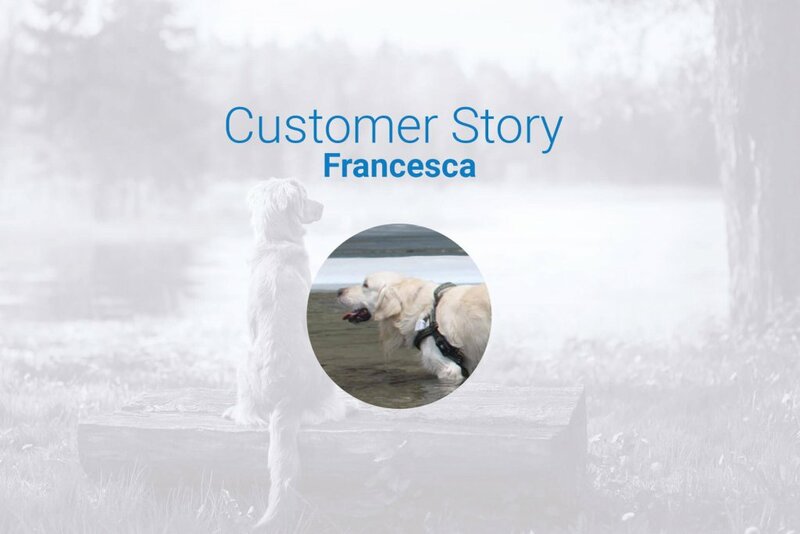 Francesca uses Tractive GPS since 2015. 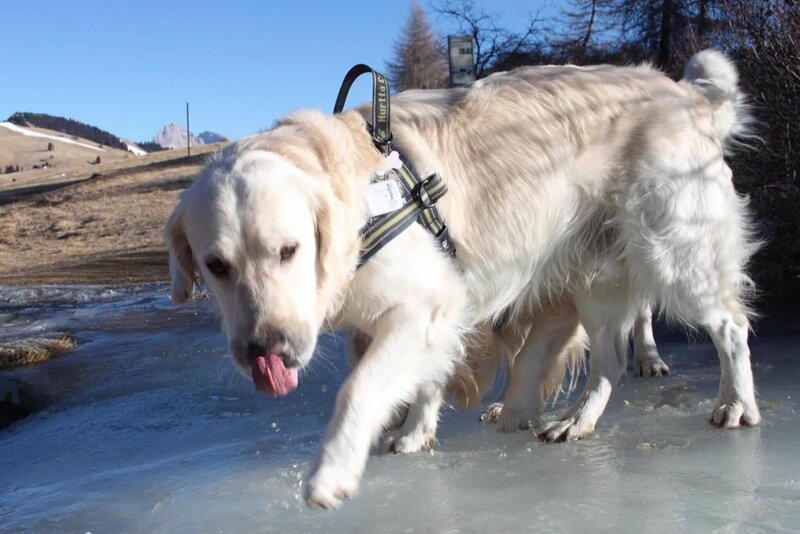 With her Tractive GPS pet tracker review, she wishes to help all loving dog parents out there to be aware that every dog parent can ensure for the safety of their pets. Do you want to make use of Tractive GPS yourself? Try out the benefits of a GPS Tracker for your fluffy friend and don’t forget to share your story with the entire dog-loving community! Is there a GPS tracking device for my dog or cat without a SIM card? This guide will help you find the perfect GPS tracker in no time! Which is the best dog GPS tracker for my small, medium or large dog in 2019? This article will help you get the right GPS tracker for your dog! What challenges face city dogs? Grass awns: why is this plant deadly dangerous for your dog?